Is the consciousness of Americans in the midst of dramatic transformation? Or do people think and feel much the same as they have always thought and felt? Do most people enjoy their work, or hate it? Is the American family being replaced by new institutional forms, or is it much the same as it was in the 1950's? Have material values been replaced by a "postmaterial consciousness" in a postindustrial society? Are Americans becoming more conservative, less conservative, or staying about the same? State of the Masses asks the important questions. Originally published in 1986, this prescient study evaluate the views of social critics, neo-conservatives, neo-Marxists, post-industrialists, and the theorists of the little man, who puport to describe the nature, social conditions, outlooks, and motivations of the American populace. The claims of one group are often diametrically opposed to those of another. The authors make the case for which claims can be considered true and which false. 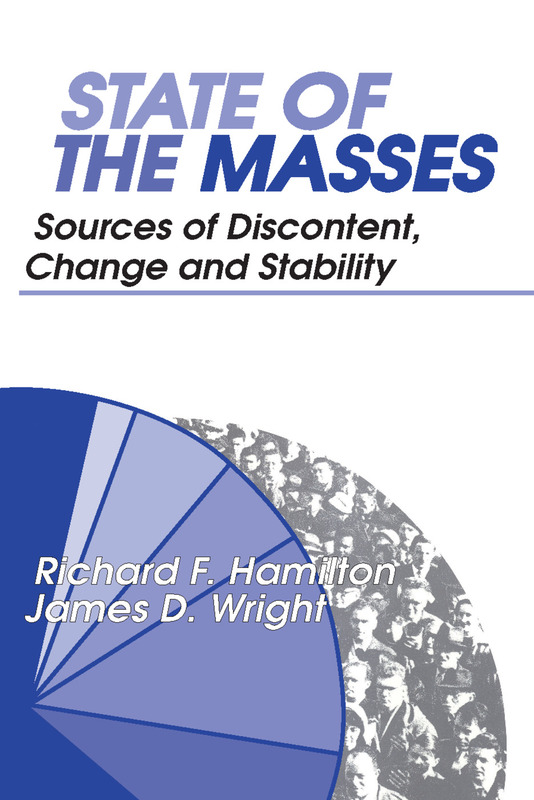 Hamilton and Wright analyze the contradictory claims and compares their implications with the best social science research and data available at that time. They also explore the implications for theories in light of the conflicting portrait the evidence provides. The authors conclude with a new perspective for understanding continuities and changes in the United States. This is a prescient view of American society during turmoil, and a model for how social science research can be used predictively.